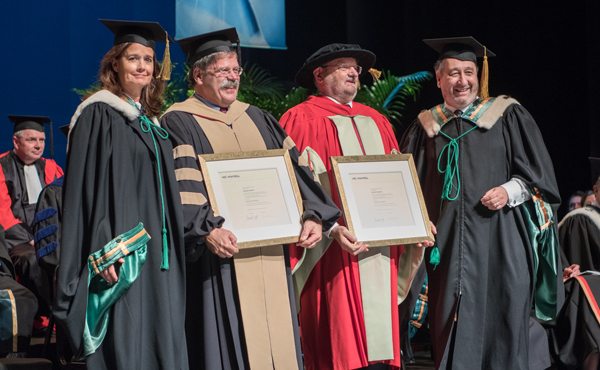 Laurent Lapierre and Jacques Nantel received the title of Professor Emeritus at the graduate convocation ceremony on November 28, saluting their exceptional contribution to research, teaching, and the development and renown of HEC Montréal. Laurent Lapierre began his career in the arts. In 1968, he became the first Executive Director of the Société artistique de l’Université Laval, and in 1970 the first Administrative Director of the Théâtre du Trident, in Quebec City. He held the latter position until 1973, when he began an MBA at HEC Montréal. He later earned a PhD in Management from McGill University. He became a Professor at HEC Montréal in 1981 and was long interested in the influence of managers’ personalities on their management styles and in management behaviours that lead to success or failure. He was the first holder of the Pierre-Péladeau Chair in Leadership, which he directed from 2001 until his retirement in 2013. Recognized for his teaching skills, he was presented with the HEC Montréal award for teaching excellence in 1997 and the Leaders in Management Education Award for Quebec from the National Post, in 2003. He was also named Professor of the Year by the MBA students association in 2004–2005. Professor Lapierre was the founder and first director of the HEC Montréal Case Centre from 1999 to 2002, and over his career wrote hundreds of cases that have frequently been recognized for their quality: he received the Alma Lepage Award eight times. An exceptional communicator, he contributed both to the general media and academic publications. He was Editor-in-Chief of Gestion from 1988 to 1989, and then again from 1993 to 1997. He also published a three-volume series entitled Imaginaire et Leadership, and several studies of Quebec leaders. He received the Gaétan Morin Award for this research from HEC Montréal in 1993 and the Pierre Laurin Award in 1994. In 2007, Professor Lapierre was inducted as a member of the Order of Canada, for his contribution to teaching. That same year, HEC Montréal recognized his exceptional contribution to the School’s renown by presenting him with the first Esdras Minville Award. Holder of a Doctorate in Business Administration (DBA) in Marketing from Indiana University and an MSc in Administration from HEC Montréal, Professor Nantel became a Professor at the School in 1985. 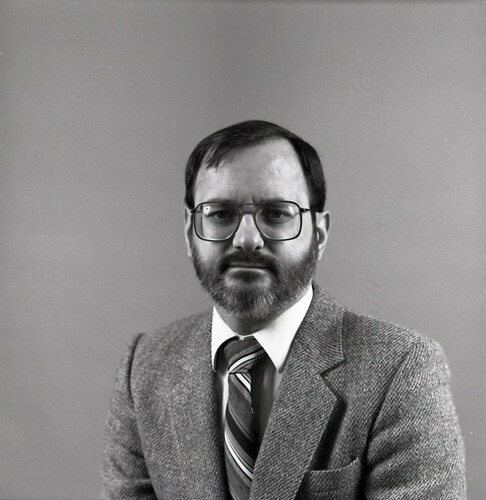 He was promoted to Full Professor in 1994, one of the youngest of that rank, at age 38. Over the course of his career, he held many important positions at HEC Montréal, including Secretary General, Director of the Marketing Department, Director of Academic Programs and holder of the Omer DeSerres Chair of Retailing. He was founder of the RBC Financial Group Chair in Electronic Commerce, which he held until 2007. Professor Nantel is recognized for his remarkable accomplishments in research. During his career as an academic, he published over 60 articles in peer-reviewed scientific and professional journals. 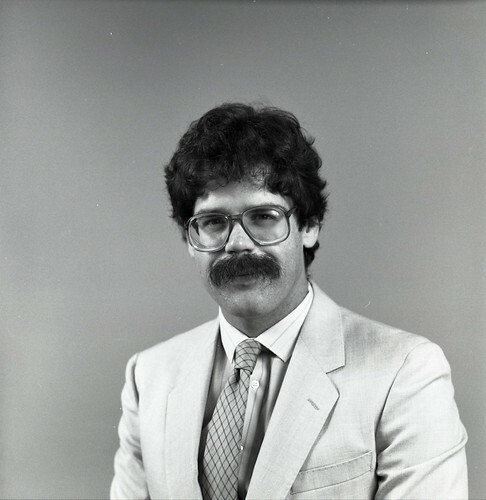 His contribution to research was recognized in 1993, when he received the Gaétan-Morin Award. He has also been widely lauded for his superb teaching skills. In particular, he received the HEC Montréal award for teaching excellence in 1994 and the Leaders in Management Education Award from the National Post In 2000. In 2014, Professor Nantel was honoured with the Esdras Minville Award for his exceptional contribution to the renown of the School. He is known for his involvement on many boards of directors of private-sector and non-profit organizations. He is a great communicator, whose many appearances in the mass media have been praised for their contribution to raising the tone of public debates. In 2011, in co-operation with journalist Ariane Krol, he published a best-seller entitled On veut votre bien et on l’aura… la dangereuse efficacité du marketing, and in 2016 co-authored Le Code Québec : les sept différences qui font de nous un peuple unique au monde.